Edward de Bono (born May 19, 1933, in Malta) is a Maltese physician, author, inventor, and consultant. He is best known as the originator of the term lateral thinking and a proponent of the deliberate teaching of thinking as a subject in schools. dward de Bono is regarded by many as the leading authority in the field of creative thinking, innovation and the direct teaching of thinking as a skill. He is equally renowned for his development of the Six Thinking Hats® technique and the Direct Attention Thinking Tools™ (D.A.T.T.™) framework. Edward de Bono is the originator of the concept - and formal tools - of Lateral Thinking, which is now a part of language enjoying an entry in the Oxford Dictionary. 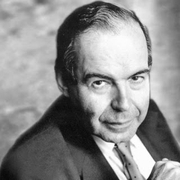 Edward De Bono is currently considered a "single author." If one or more works are by a distinct, homonymous authors, go ahead and split the author. Edward De Bono is composed of 15 names. You can examine and separate out names.